TestimonialsTell us what you think too! We think that the best customers are the happy customers! 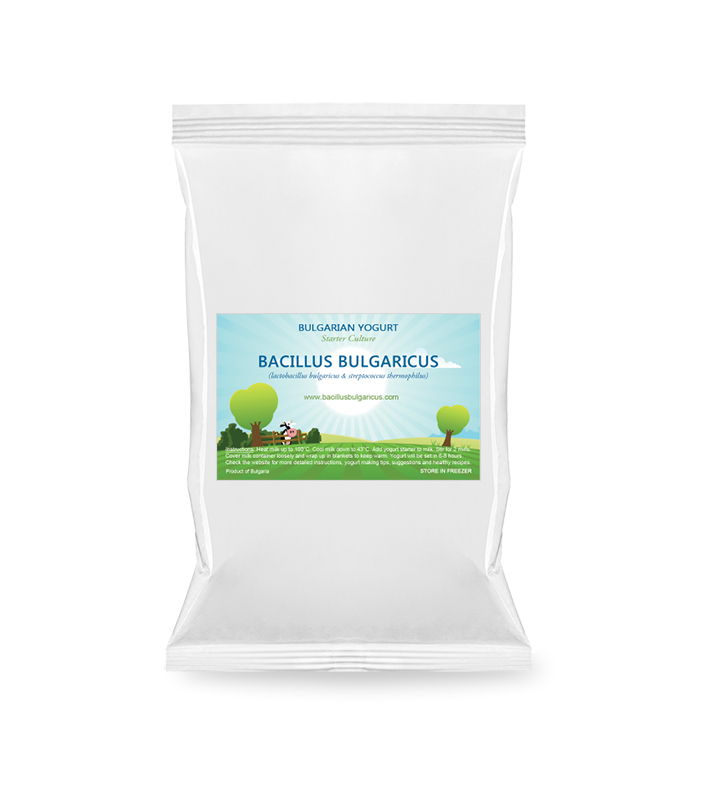 And we are ecstatic that our clients love Bacillus Bulgaricus! We receive comments, testimonials and reviews daily and we share all of them here — good and bad. We do our best to add them to this page as quickly as possible but sometimes it might take us a week or two to catch up. Feel free to browse the 6000+ reviews below. You are also welcome to send us your thoughts — we’d love to know what you think about our products! I have one sister who wants coconut milk yoghurt and another is into almond milk. I like full cream Jersey milk and am looking forward to my first ‘brew’! Had some plain yogurt last night, nothing like it! I have been enjoying your yoghurt. Hello! Just to let you know, I used the YOGURT starter (the original that I bought that I mistakenly thought was kefir) and it turned out wonderful! Took two days, but thick and creamy....I could turn the jar upside down and it was not runny! The milk kefir also did not disappoint....very very happy about it and looking forward to a long relationship with your product! I like the yogurt a lot. I wonder if , since it’s an heirloom starter, whether I can use some of my yogurt as a starter for another batch. Many years ago I used to make yogurt regularly in the restaurant I worked in and successfully used some of the yogurt from a previous batch to make the next batch. I love it. Do you produce yogurt powder capsule? I received my order yesterday and I am anxious to start making my yogurt. I just want you to know I love your yogurt, it is the best I have ever had!! This is great. I do have a few friends who may be interested so I will refer them to your site. Yes, thank you for the coupon. I just wanted to get this from you. I bought a yogurt machine so I am excited to get started. Yum yum!!! You are very kind. Thank you! The yogurt is really good. Almost identical to yogurts i had growing up in Turkey. I have used only one starter pack as I haven’t had any failure in using the previous batche as starter for the subsequent batch. So I would say we are quite happy with the purchase. Also, the yogurt (as-is without straining to thicken it like greek yogurt) is excellent for making frozen yogurt if you have an ice cream machine. Success! I actually made 17 hour raw unheated coconut milk yogurt using my own milk! 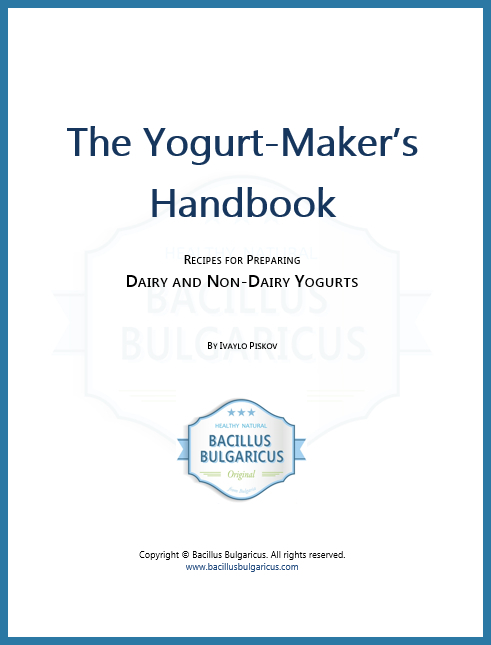 I have tried many yogurt starters but Bacillus Bulgaricus is the best one I've tried. Makes my non dairy yogurt nice and creamy. Great taste as well. I highly recommend trying it for your yogurt needs. I was very happy with your cultures as were all the people that I asked to taste test,and would like to sell them through my new business. I will be starting by selling at farmers markets then moving on to shops and on line. I am making kits for people to carry out their own fermenting including equipment, instruction and cultures, hopefully Bacillus Bulgaris for my yogurt range. I am in Victoria Australia. My son has a class project and wanted to make something for it. Found other items that looked good to, always open to new ideas to try. All is OK, the yoghurt starter is great, I’m still making yoghurt from the first lot and it’s working very well. We love the Bulgarian yogurt that we make with the starter culture that you sell . I follow the directions and it turns out perfectly every time . ! I order a large amount of your Bulgarian yogurt culture , because we consume 1 gallon of your Bulgarian yogurt everyday ! Everybody in our family of six enjoys it tremendously and we believe it brings very important health benefits . I placed another order for two large size packages of culture and I used your coupon and I very much appreciate the additional discounts. We used our last starter today and looking forward to our order arriving. Great stuff! The kids also order from you since they were exposed to your product. OK, thank you for the fast response and great starter! Package arrived on time over here. Very nice yogurt from non-fat and semi-fat milk here. 10 hours in an electric yogurt making machine. I will buy more for sure! I bought starter for 100 litre of yoghurt so this is enough for some time. Surely i will come back to you when i need next. I love the bulgarian styled yogurt culture. My factory is very small as Bhutan has a population of roughly 700,000. We import flavoured yogurt from thailand and it becomes very expensive. I wanted to create an alternative local made yogurt. Using the bulgarian starter culture has created an awesome product that has recieved very good feedback. I like the taste and thickness of the yogurt made with your freeze dried culture. i love the taste of your yogurt culture and it works wonderful with my flavouring. I will be ordering more culture soon. I would love to use your froozen drief culture to make my yogurt everytime because it produces a pergrct product every time oulf provide some suggestions. I was very happy with the yogurt starter. First it arrived quickly and it was everything I expected. The yogurt tasted amazing, just like in home in Bulgaria. I bought two packs and shared one with our friends, and their reaction was the same as mine - perfect homemade yogurt. My friend who is an expert is in Europe so I couldn't ask her. She doesn't use the net much as shes old school..
She always makes raw goat milk yogurt without ever heating any milk and it always comes out perfectly fine. Thank you for the bottom of my heart for all your help and kindness!! wir stellen bulgarischen Jogurt selbst her und kaufen bei Ihnen die bulgarischen Jogurtstarterkulturen. Der bulgarische Jogurt ist der gesündeste Jogurt den es gibt. Es wurde auch nachgewiesen, dass er selbst bei Krankheiten wir Parkinson heilend wirkt. Und der bulgarische Jogurt schmeckt auch am Besten. Love your Bacillus Bulgaricus culture. I am liking it very much. Have been experimenting quite a lot and very pleased with the results so far. Very very nice. I recieved my parcel just last week. The reason for buying your yoghurt are the interest for fermented food. Thank you!! Yogurt is fantastic! Now, I don’t buy it, I make it! We eat lots of it. 2-3 qts. a week. I awlays look forward to making your yoghurt. I do like your yoghurt!